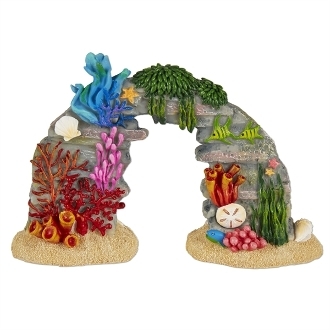 Coral Reef Scene for Merriment Mini Fairy Gardening. Full Description: This beautiful coral reef is bursting with marine life! It's the perfect addition to any underwater mini garden. Coral Reef with Sea Life is underwater safe, features all-weather paint, and is made of resin.